This incredible optical illusion tricks the brain into observing colours as the it believes they should be, rather than as they actually are. This incredible optical illusion tricks the brain into seeing colours as the brain thinks they should be, rather than as they actually are. 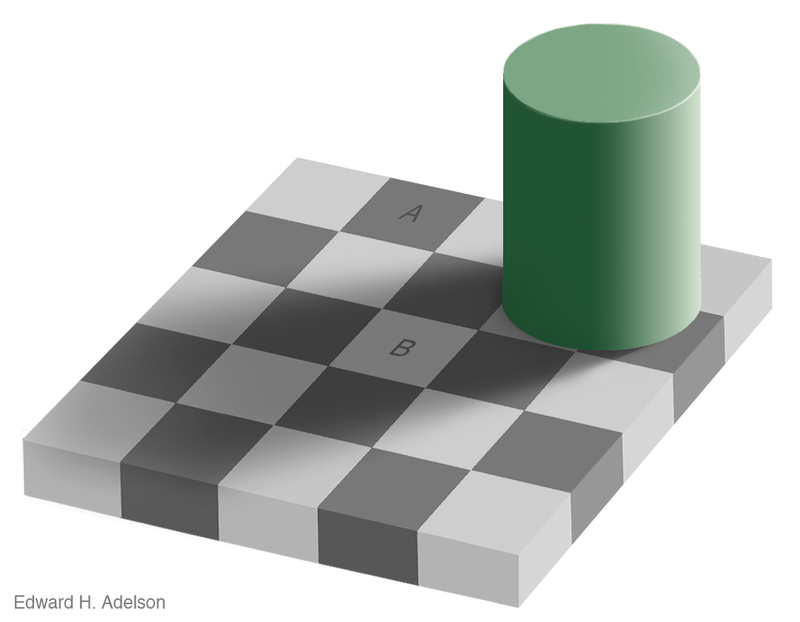 The optical illusion - properly called the Checker Shadow Illusion - was created by Edward H Adelson, an eminent and widely published American professor of Visual Science. Powerful optical illusions like this remind us that things are not always as they seem, even when we see proof to the contrary. Look at the colours of the squares below marked A and B. Are they the same, or is one darker than the other? Most people would say that the square A is a lot darker than the square B.
Incredibly they are the same. Below is proof, although even when seeing the proof many people's brains still cannot accept it to be so. Usually the word 'incredible' is used in a colloquial or exaggerated sense. This optical illusion genuinely deserves the description 'incredible'. The brain cannot believe what it is seeing. This optical illusion also emphasises the significance of relativity when attempting to measure things - and the effects of perspective, in this case light and shadow. What we see changes according to how we are seeing it. Perspective and relativity determine values. Very few things are absolute. Most things are relative and depend on one's viewpoint and the context in which they exist. Edward H Adelson is John and Dorothy Wilson Professor of Vision Science, at the Department of Brain and Cognitive Sciences, Massachusetts Institute of Technology. 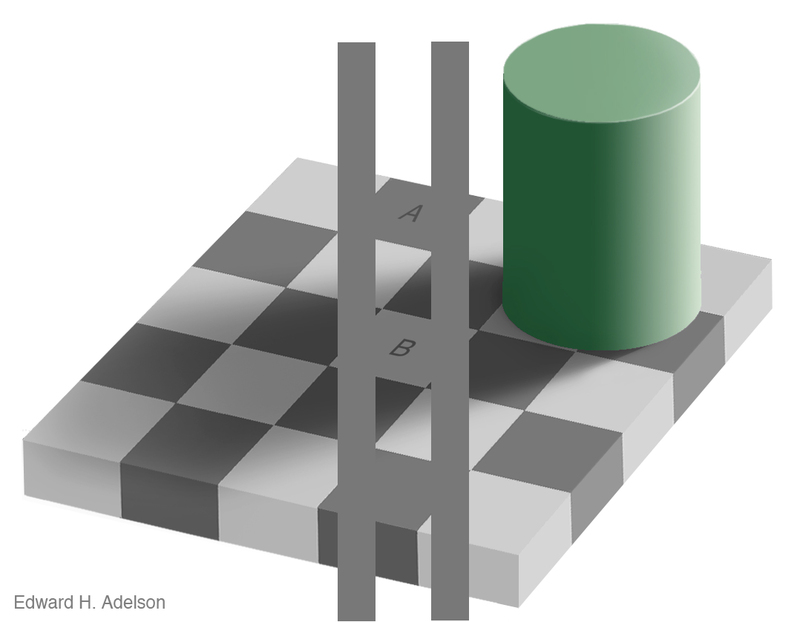 Here is Edward Adelson's website, which explains the optical illusion in more detail, and provides more information about his work, and other fascinating examples. The images of these optical illusions may be freely distributed. When doing so please give credit appropriately to Edward Adelson. My thanks also to Howard for this wonderful item.